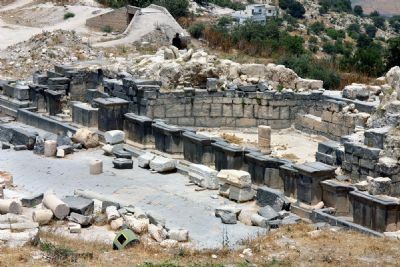 Images in this section are of the acropolis and general site of Gadara. The nymphaeum (monumental fountain) is featured above. For a brief description of Gadara and a map Click Here.